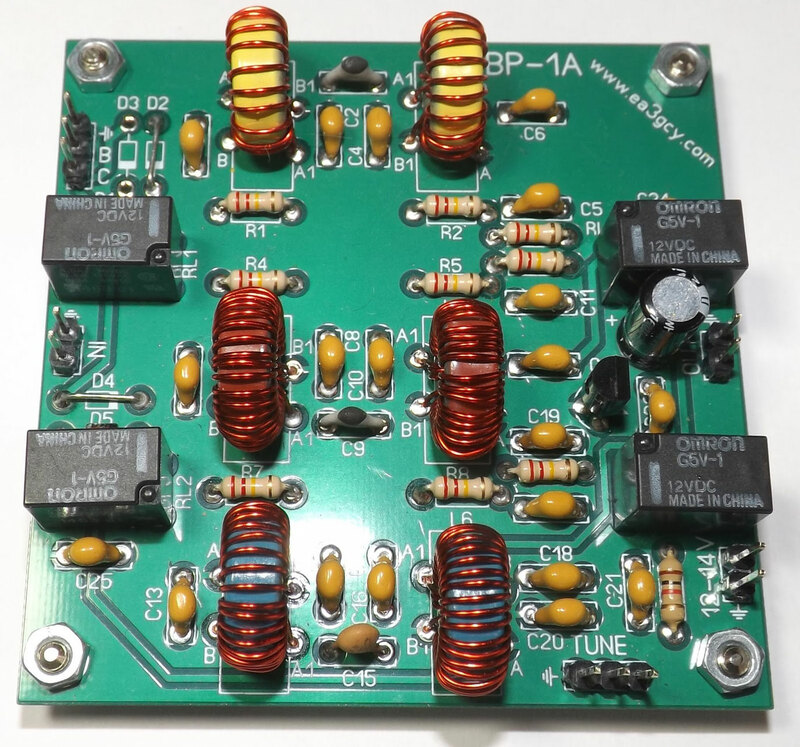 LPF-4B Four bands Low Pass Filter. The BP-1A kit is a 3 to 30MHz continuous bandpass filter. It is intended to improve the front stage in analog receivers or SDR (software defined receivers), experiments in radio laboratories, measuring instruments etc. where a filter is required to select any frequency segment within of 3 to 30 MHz range. 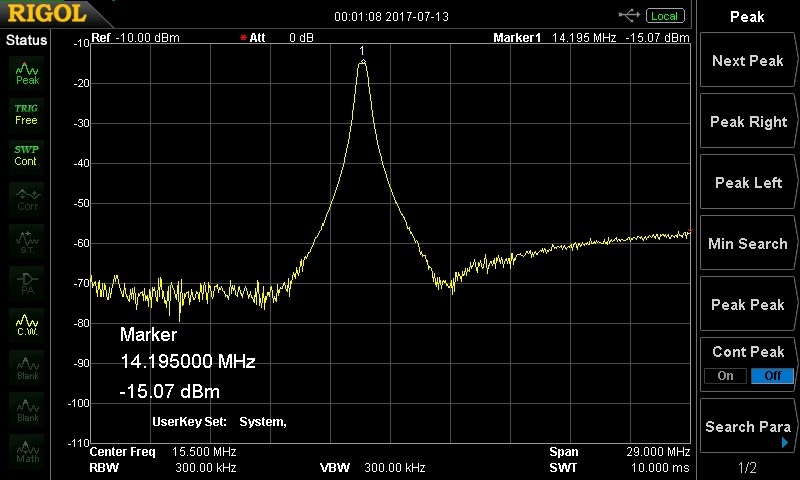 In particular, medium and low cost SDR receivers need bandpass filters when receiving HF (OC) radio signals. The BP-1A allows you to tune and select the frequencies of any amateur radio or HF broadcasting band. The tuning is done manually with a potentiometer that allows to be located at any point in the coverage range. The BP-1A incorporates three relay-switched bandpass filters covering from 3 to 6MHz, 6 to 12MHz and 12 to 30MHz. 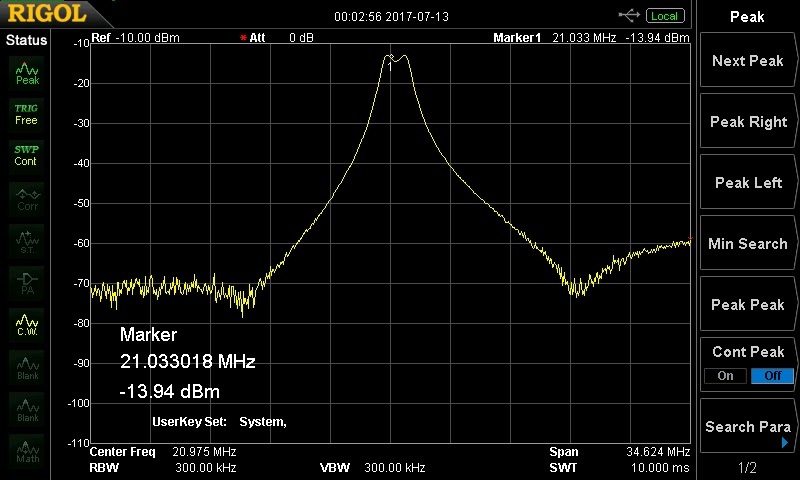 Band Pass filter from 3 to 30Mhz continuos with manual tune. 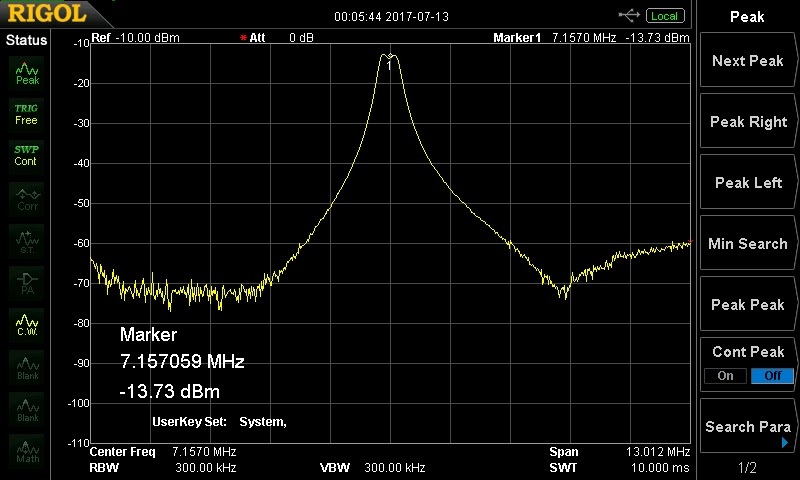 Three tuning ranges: from 3 to 6MHz, 6 to 12MHz and 12 to 30MHz. Dual LC filter for each margin composed of toroids and varactors. Suitable for analog or software-defined receivers (SDR), HF instrumentation, RF experiments in laboratories, etc. BOX enclosure for BP-1A. Included: Knob, switch, connectors, wire and screws.